Once I was married, I never ate commercial beef at home. My husband’s family, who live in Minnesota, had been getting their beef from the same in-state farmer for fifty years. As insane as this sounds, we too began getting our beef from this same farmer, in Minnesota. Did I mention we live in New Jersey? My in-laws would pack it all up in their car and drive it out to New Jersey every year at Christmas time, and this was our supply for the year. We were all very sad when we were told that the farmer was retiring and none of the children were taking over the farm. We needed to find a new meat source, because the steaks we picked up at the grocery store just didn’t have the same flavor or consistency, and we weren’t happy with the rather expensive meat from a local butcher shop, either. It was all very depressing, but this cloud had a platinum lining! Where does one go to find a new source for beef? The internet, of course. Even if you don’t have internet at home, I would venture a guess that your local library does. My search for local, sustainable meat at last landed me at the website Eatwild.com, founded by Eating on the Wild Side author Jo Robinson, dedicated to providing research-based information about the benefits of choosing modern foods that are nutritionally similar to their wild, natural forebears. The site’s directory of pasture-based farms and dairies led us to places like Nature’s Sunlight in Newville, Pennsylvania, and our CSA at Fernbrook Farm in Chesterfield, New Jersey. That was back in 2004, and we found quite a few farms where we could purchase pastured meat products. 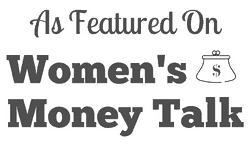 When I accessed the site about a month ago, I was awed by how it has grown. There are so many farms listed! How do you sift through? Slowly. Decide what you would like to try first, read through the listings for your area, and give the farm a call. The farmers are friendly people who want to do business with you. They will answer your questions. Just be aware that, unlike a grocery store, you can’t call the farm on a Monday and expect to go pick up a side of beef on Tuesday. Many of these farms take orders well in advance (six months to a year in some cases) and raise animals to fill those orders. Ditching the Drive-Thru by J. Natalie Winch (2015, Spikehorn Press, ISBN 978-1-943015-06-1, $19.95). 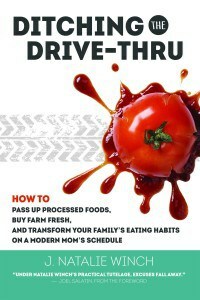 Ditching The Drive-Thru is a book about real food. Do you want to know where your food comes from, when it was cut from the trees and plants it grew from and how it was processed? I know I do. At this point, in the year 2015, we are more abstracted from food then ever before, but Natalie Winch, the author of this book, wants to broaden our minds. She wants us to understand more about the items we eat. After all, we eat for sustenance and nourishment every day. Shouldn’t we understand what it is we are biting into? Winch hopes this book will help readers regain control of the food we eat, by understanding where food comes from, how it is processed and ultimately how what we eat impacts us each and every day. This book steps the reader through the every day catch phrases of food and distinguishes the differences between categories like all natural and organic. The author talks about the perimeter of the grocery store, why it’s important to pass by boxed, ready-to-serve meals in favor of real food that must be cut and cooked. After my children go to bed my husband and I prepare dinner two nights a week. You can find us in the kitchen at 10 o’clock at night mixing up sauces and sauteing chicken. It is a time to fill the house with warm smells and to prepare meals that can be heated up throughout the week. I purchase a lot of organic meat, fruits and vegetables I didn’t realize how much there was to learn about food and the means by which it gets from the farm to our table. One moral of Winch’s story is to place more importance on the value of time. You can spend hours mindlessly surfing the Internet and checking Facebook or you can purchase real food and learn how to prepare it. As a personal finance blogger I would add that we all need to eat, but when money is saved in one place it can be spent in another. Unless you live paycheck to paycheck you can choose to avoid unnecessary spending and to use the money saved to purchase food that truly nourishes you. This looks great, and is perfect timing for me! I’d love to check out this book…I’m trying to cut back on processed foods!